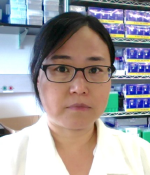 Dr. Hee-Sook Kim, a research assistant professor in the the Center for Gene Regulation in Health and Disease (GRHD), joined CSU from Rockefeller University (RU) this year and will continue work on a recently awarded NIH R01 grant. Her program is titled “Molecular dynamics of genome and epigenome integrity in Trypanosoma brucei,” and she has been funded for $999,954 over five years. Dr. Kim is investigating how alterations of specific structures and marks on chromosomes influence DNA replication using high-throughput sequencing approaches as well as genetic and proteomic techniques. She is joined in the program by co-PI Dr. Bibo Li, who will focus on spatial organization of chromosome structures with support from Dr. Valentin Börner. Both are faculty in the Department of Biological, Geological, and Environmental Sciences (BGES) and members of GRHD. Welcome to CSU, Dr. Kim! Anne H. Berry joined Cleveland State in August 2016 as an assistant professor of graphic design in the Department of Art and Design. She received her MFA from the School of Visual Communication Design at Kent State University, and worked as an Assistant Professional Specialist at the University of Notre Dame prior to her appointment at CSU. 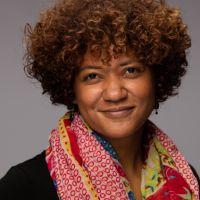 Her research focuses on race and representation in design and advertising, ethnic and racial disparities within the field of graphic design, and the role of social impact design in education as a means of addressing the design industry’s lack of diversity. In addition to teaching, Prof. Berry works as a freelance designer, is a co-founder of design studio LightBox, and serves as the chief creative officer for Round3, an educational web service that facilitates online peer reviews for students in K-12 and higher education. 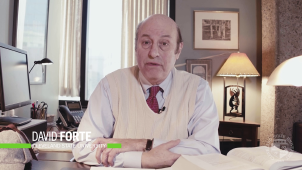 Research by Dr. David Forte, a professor in the Cleveland-Marshall College of Law, is the focus of this month’s Featured Research Video. Dr. Forte holds both a Ph.D. in political economy and a J.D., and writes and speaks nationally on topics such as constitutional law, religious liberty, Islamic law, the rights of families, and international affairs. Click here to watch. Research expenditures at CSU grew to $77.7 million in 2016, the largest in our history and an increase of $63.4 million since 2009, as reported in the NSF Higher Education Research and Development (HERD) Survey. 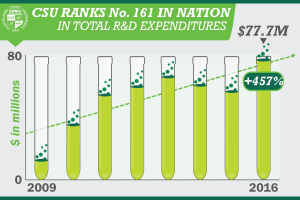 CSU ranked #161 in total R&D expenditures, moving up from #182 in 2015. After a four-year decline, federal research funding to universities (in inflation adjusted dollars) increased slightly, though the percentage of higher education R&D funded by the federal government has continued to drop. Dr. Iftikhar Sikder is an associate professor in the Department of Information Systems in the Monte Ahuja College of Business and an affiliate professor in the department of Electrical Engineering and Computer Science (EECS). Dr. Sikder’s research focuses on the interdisciplinary domains of information systems, computer science and systems science. In particular, his research is centered on space-time processes involving spatial representations in geographical information systems (GIS) and remote sensing, geo-spatial databases and knowledge discovery using data mining and predictive analytics tools leading to spatial decision support systems. 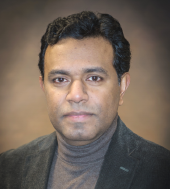 His recent paper on granular computing received the best paper award at the 19th International Conference on Digital Societies and Data Studies. 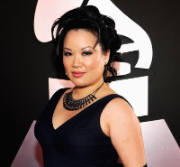 Dr. Angelin Chang, a professor and Coordinator of Keyboard Studies in the Department of Music and a professor in the Cleveland-Marshall College of Law, will perform on piano with members of the Cleveland Orchestra in chamber music collaboration for the 2018 Dr. John A. Flower Faculty Concert. The performers’ intent is to be so cohesive in technical precision and musical expression that all the instruments will sound as one unit. Listeners can expect to be transported through a range of emotions through experiencing the power and depth of the music, which includes the featured work Trio Op. 40 for Piano, Violin and Horn by Johannes Brahms. The concert will take place in CSU’s Drinko Recital Hall on Monday, January 22, 2018 at 7:30 pm and will be broadcast on WCLV at a later date. The Ohio Department of Higher Education (ODHE) has released the 2018 Request for Proposals for the fourth year of the I-Corps@Ohio Program. I-Corps@Ohio incorporates Lean Startup, Customer Discovery, and Business Model Canvas methodologies to accelerate commercialization of technologies from Ohio universities and colleges while expanding the business acumen and networks of faculty and students across the state. The registration deadline is January 16, 2018. 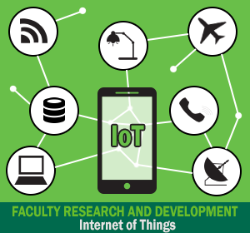 The Office of Research is excited to announce the projects funded under the second round of the Faculty Research and Development - Internet of Things (FRD-IoT) program. The Office of Research is providing seed funding through the FRD-IoT program to develop a stronger University-wide research base related to the IoT, connected devices, and data analytics. This internal funding opportunity aligns with the mission and research priorities of the recently formed CSU-CWRU IoT partnership. The three projects funded in the second round and the faculty leads are shown at right. If you have an idea for an IoT or data analytics project and need assistance finding a collaborator on campus, contact Ben Ward in the Office of Research. 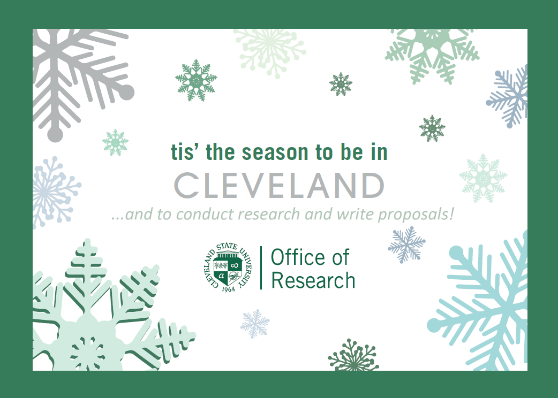 The Office of Research is pleased to remind faculty that the call for proposals for the 2018-2019 internal funding programs has been released and includes strategic changes to several programs and to the proposal guidelines. The Undergraduate Summer Research Award (USRA) program provides students of all disciplines an engaged learning experience that involves intellectual inquiry and faculty mentoring as students perform meaningful research on campus during the summer months. 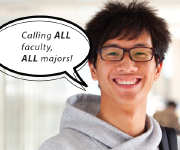 The Graduate Student Research Award (GSRA) is now open to students completing a master’s thesis or a doctoral dissertation. The CSU Office of Research led and coordinated a highly successful grant writing seminar on December 1 with a focus on NSF and NIH funding. Over 100 faculty members from Northeast Ohio's public research universities (CSU, Kent State, University of Akron, Youngstown State, and NEOMED) attended the full-day seminar. Participants rated the seminar extremely well: on a scale of 1 (lowest) to 5 (highest), the average post-seminar evaluation score was 4.7. Comments provided by participants included: "I’m so impressed with the specific and actionable information provided. Thank you." and "Very helpful! 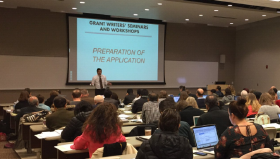 First time I feel like I understand grantsmanship and I am looking forward to using these techniques." The cost of the seminar was shared by the participating universities. A revised version of the NSF Proposal & Award Policies & Procedures Guide (PAPPG), NSF 18-1, has been released. The new PAPPG is effective for proposals submitted, or due, on or after January 29, 2018. The NSF Division of Civil, Mechanical and Manufacturing Innovation (CMMI) is sponsoring the 2018 NSF CAREER Proposal Writing Workshop, to be held March 25-27, 2018 in Charlotte, NC. The application deadline is January 8, 2018. The application procedure and tentative agenda for the workshop can be found here. students a peaceful and joyful holiday season. The holiday card used in this edition was designed by Nicole Zollos, a Graphic Design Student at CSU.